Helledia is a stylish, responsive Moto CMS 3 template created for law firms. It is very easy to modify thanks to the drag & drop page builder that comes in the package. The builder introduces a large choice of content modules, which can be added to your website and rearranged how you see fit. You will also receive a full set of ready-to-use pages and exclusive widgets. If you need to adjust the template to the style of your brand, a color picker with unlimited colors is at your disposal. 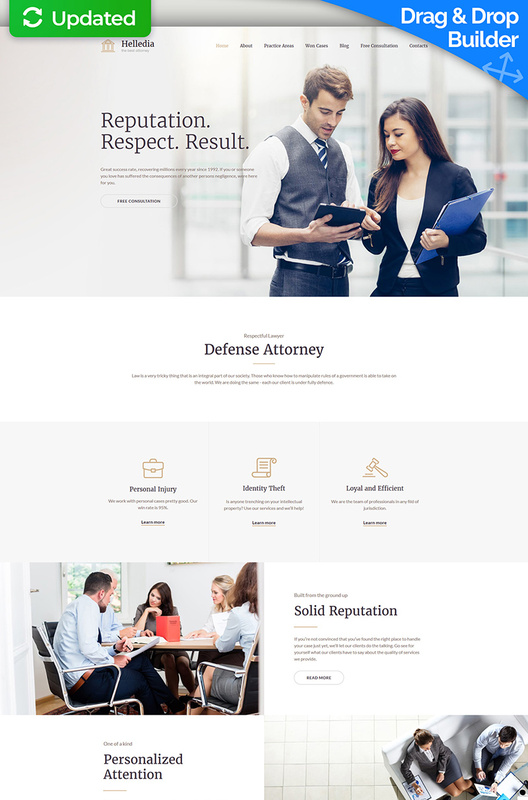 This template is one of the most effective ways for a lawyer or a law firm to bring their business to the web and drastically increase the client base.